I identified this Corinthian column because the capital is further embellished with a single or double row of stylized acanthus leaves. 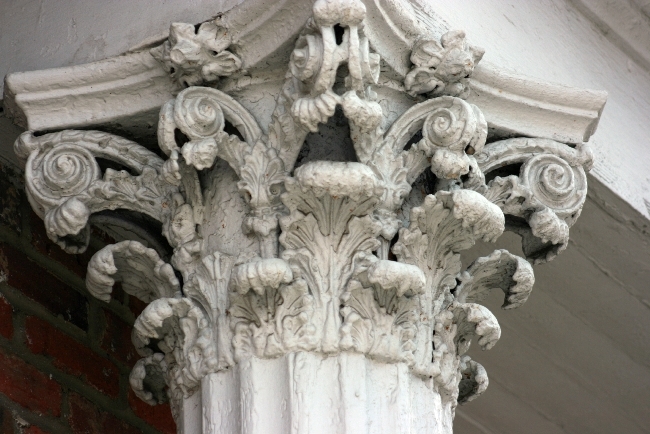 On some Corinthian columns volutes appear to grow out of the leaves. The base is similar to the Ionic but more refined. The Corinthian column evolved in the second century BC and continued to be a popular element in Roman architecture.